As an Administrator, you can use TEXT messaging to change your organization’s facility status. You must be a club administrator. The cell phone number you use to send the Text must be stored in your personal StatusMe account. You must know your club’s StatusMe four-digit TEXT PIN displayed on the Club Page under “Manage My Clubs”. Send a Text to “otto@statusme.com”. NOTE – Do not send an email. 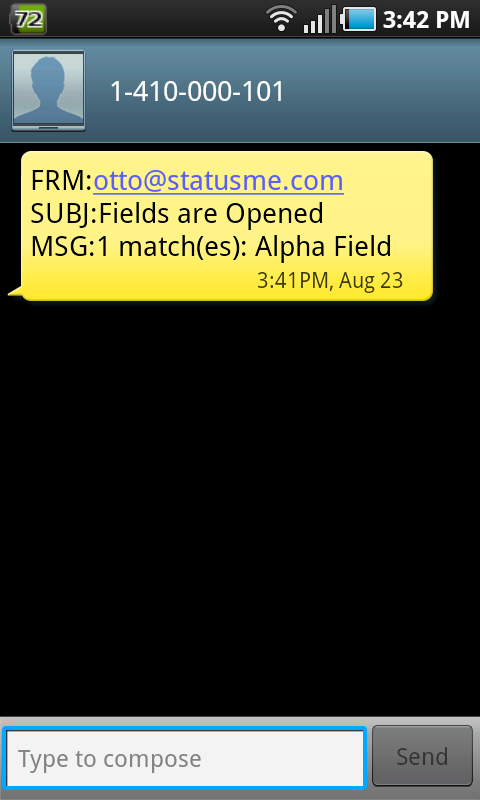 Actually address the Text message to otto@statusme.com. The message should only contain the following information: <PIN> space <Status> space <Field Name>. When StatusMe receives the text, it checks the sender’s cell number to verify the sender is a Club Administrator. Then the system uses the club unique PIN to identify which club the Admin is attempting to update. Using the Field Name, the system conducts a partial name search to identify one (and only one) field/facility. However, if the field name used is “all”, then all fields are changed to the status indicated. 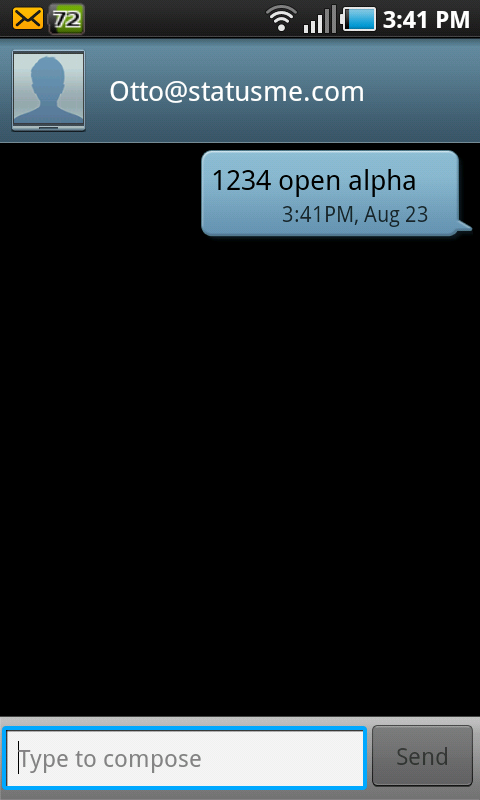 Using the status contained in the Text message (i.e. Open or Close), the system changes/updates the status and clears the comment field. A confirmation text or error text is sent back to the Sender. When the field/facility update is successful, the sender will receive a confirmation response text. If a unique field is not identified (unless the “all” option is used), the sender will receive a response text stating that a field was not identified. If a text message does not match the proper text format, then no action is taken and no response text is sent to the Sender. When the field/facility update is successful, the comment on the field is cleared or updated with the new comment. If the sender of the text message does not match the criteria listed above for the Admin, then the field status will not be changed. To deter any hacking attempt, if a text is received from a invalid Admin or with an invalid club PIN, then an Alert Message is sent to StatusMe Support. Status Commands: Use “Open” or “Close” (without quotation marks) to change/update the status as specified. Field Names: Use “All” (without quotation marks) or a unique individual field name. Comment Field: To update the field comment at the end of the message add an ! (exclamation mark) followed by the comment text. At this time, use of the status “Limited” is not enabled. Contact StatusMe Support (support@statusme.com) to have your unique 4-digit club number assigned.